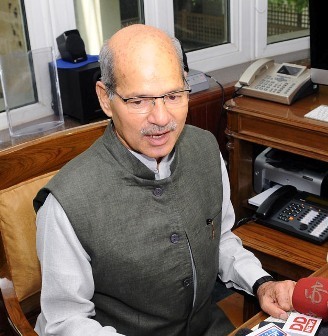 Minister of State (Independent Charge) of Environment, Forest and Climate Change, Anil Madhav Dave, has strongly emphasised the need to adopt the three-fold ‘mantra’ of “Sun, Cycle and Saving” in the energy sector for clean and green energy. Inaugurating the Conference on Clean & Green Transport for Delhi NCR – Alternatives and Solutions” here today, Dave said that solar energy is the energy of the future and Research & Development (R&D) needs to be done on solar energy, as it will revolutionise the energy sector. The Minister advocated cycling as the best mode of transport for short distances and cited additional health benefits as another factor for adopting of cycling. Shri Dave also said that energy should not be used carelessly, as energy saved is energy produced. He added that individuals must lead by example in saving energy and also stated that non-practising environmentalists and non-practising scientists were not required. The Environment Minister pointed out that those involved in R&D must keep in mind the different between the success achieved in laboratories and success while implementing solutions on the roads. He also urged researchers and scientists to be completely immersed in their subjects of research.